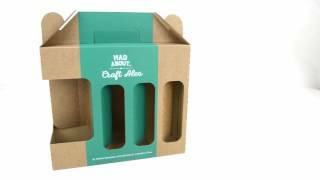 Die cut packaging begins with the design and, with many years of experience in designing and manufacturing die-cut packaging, we believe our packaging designers to be amongst the best in the UK. Our trained and skilled design team are often simply given a product and the brief to come up with a design that suits the customer’s needs and fits their budget. The computer aided design facilities used by our designers give us the ability to amend designs with ease and as needed, giving you a flexible, reliable and innovative team at your disposal. The diverse die-cutting machines installed allow us to cover a broad range of styles and applications, from ultra large format to high speed multi-up die-cut work.